We met Monday lunchtime. I found one fish moving, under the right bank. 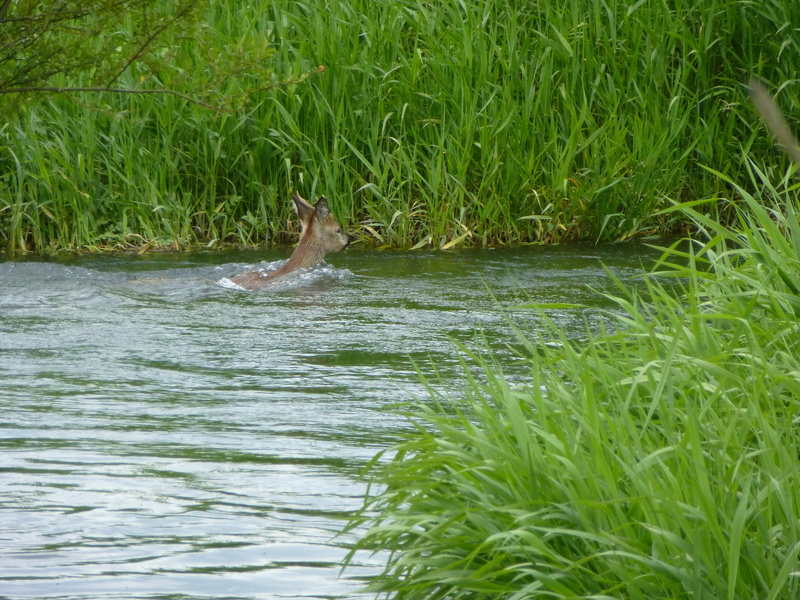 Just as I was about to cast so a roe buck floated around the bend! I don’t know which of us was most surprised but as he was way out of his depth I had time to swop the rod for the camera. Half an hour later, walking back to the car, I tried a mayfly & actually took the fish! Sadly another tiddler but it completed a little story. « Worth Getting Wet For?